Dr. Vern S. Poythress, Professor of New Testament Interpretation at Westminster Theological Seminary in Philadelphia, PA, speaks about his new book, Chance and the Sovereignty of God: A God-Centered Approach to Probability and Random Events (Crossway). The fifth in a series of “God-Centered Approaches,” Chance and the Sovereignty of God explores the mathematics of probability as well as the relationship of God’s sovereignty to chance events. Today, Dr. Poythress explains how Christians can approach chance in practical events as well as in academic study, whether scientific or mathematical. Dr. Poythress is the author of a number of books, including Redeeming Science, In the Beginning Was the Word, Redeeming Sociology, and Logic. 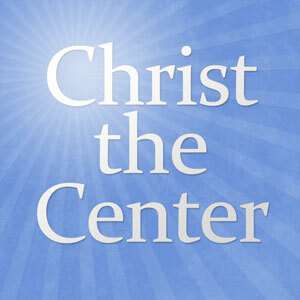 He has also spoken on Christ the Center episodes 52, 98, 188, and 235, and on Philosophy for Theologians episode 20. Interesting program. I question the repeated comment that chance concerns things we cannot know. In that context it was said that we must trust God. However, much of what we call chance is not unknowable in principle, but too complex to model. This is true for even simple systems such as coin flips. In principle, if our mathematical model was comprehensive, we should be able to predict the outcome of a single coin toss, i.e., unless God supernaturally intervenes. My concern here is that too many Christians have a deficient understanding of the sovereignty of God and providence. They tend to relegate God to that which they feel they cannot control or what they do not know. On the contrary, Romans 1 teaches that God is known (in general revelation) by what we do and can know. When a scientist, or anyone else, even an evolutionist, studies creation they are in fact studying God’s providence. I am a reformed Christian and scientist. I studied animal behavior and use statistics a lot. Animal behavior is unpredictable, not because it cannot be known in principle, but because it is extremely complex. It is like the WCF teaches; God’s providential government includes those things which are necessary, contingent and free. Contingent and free doesn’t mean unknowable in principle but refers to things that are difficult to predict because they are complex. It turns out that even “simple” systems, such as a coin toss, are complex. I also doubt that “Darwinism” depends on chance being an impersonal determiner more than any other scientific field. Unbelievers cannot affirm the Trinitarian God of the Bible unless the Holy Spirit transfers them from this present age into the Kingdom of the Son. In that case they are no longer unbelievers. Although scientists do wrongly interject such faith claims, what “Darwinists” can mean when they say natural selection is “random,” “purposeless” or by “chance” is that natural selection in itself isn’t goal oriented. Even a Christian can affirm that. Natural selection isn’t looking into the future attempting to create higher creatures. One needs to make careful distinctions between the scientific theories scientists work with and their philosophical & religious faith commitments. Darwin may have been an agnostic, and Dawkins an atheist (as are Lawrence Krauss & Hawking), but that doesn’t mean their observations about creation are necessarily wrong and atheistic (although they claim this to be so). 1. A concept of the infinite. Mathematicians will tend to have a deeper understanding and appreciation for just how incomprehensible infinity is because they spend so much time pondering it. 2. The effect of your presuppositions. Mathematicians, especially in some fields such as topology, create systems based on a set of axioms. We all went through that studying Euclidean Geometry in high school. These axioms all seemed self-evident at the time. But practicing specialists who create non-Euclidean geometries and such have a deeper appreciation for just how important your initial axioms are. 3. Logical reasoning. You cannot prove a theorem using ad hominem arguments! You have to deduce it from the axioms. Mathematicians appreciate this better than most people and are more likely to perceive poor reasoning. They also have much better understanding of the reductio ad absurdum method of reasoning. 4. The beauty of symmetry. In Math, beauty is not really in the eyes of the beholder. It is something objective. The symmetry and beauty of numbers, functions, groups, and fields is something most people never learn to appreciate. Finally, I would add a fifth concept, but with hesitation; namely, Godel’s incompleteness theorem. Prof. Poythress addresses this theorem at some length in his book on logic and I have not read much of it. In brief, this theorem states that there are truths that can be known to be true, but cannot be deduced from the set of axioms establishing a system. So my own approach theologically is to challenge the atheist that his own system of belief that a) there is no God and b) I can only believe what I can observe (and any other typical atheist assumptions) cannot be sustained as coherent system. He has violated the spirit of Godel’s theorem if not the letter also. Maybe Prof. Poythress would elaborate on this at some future date.